Individuals who are concerned about losing weight may not realize that they 've to commit to some lifestyle changes in order to see results. 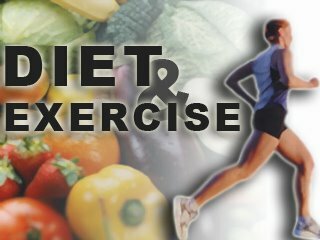 According to a new study published in the American Journal of Physiology – Regulatory, Integrative & Comparative Physiology, researchers 've furthered the notion that people who are looking to lose weight should combine diet as well as exercise in order to see a dramatic reduction in their caloric intake. Researchers put test monkeys on high-fat diets for several years & then returned them to a low-fat diet of normal monkey food. The scientists found that although there was a 30% reduction in calories, without exercise. It was found that there was no significant weight loss at the end of the month-long trial period. "This study demonstrates that there is a natural body mechanism which conserves energy in response to a reduction in calories," Dr. Judy Cameron said. "Food is not always plentiful for humans & animals & the body seems to 've developed a strategy for responding to these fluctuations." An alkaline diet rich in fruits, vegetables & whole grains coupled with exercise may be an efficient way to lose weight.